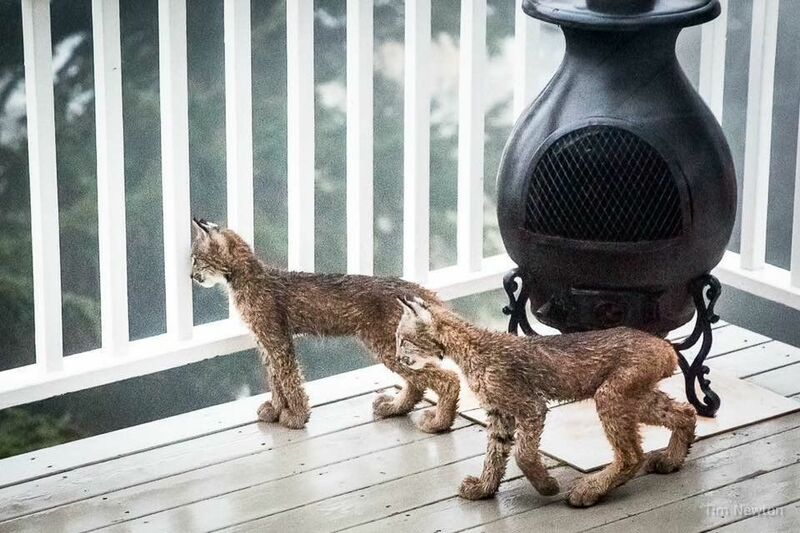 One morning, Tim Newton of Alaska woke to hear scrambling and rustling on his porch. His first thought was of a break-in, but what he found was much, much better. 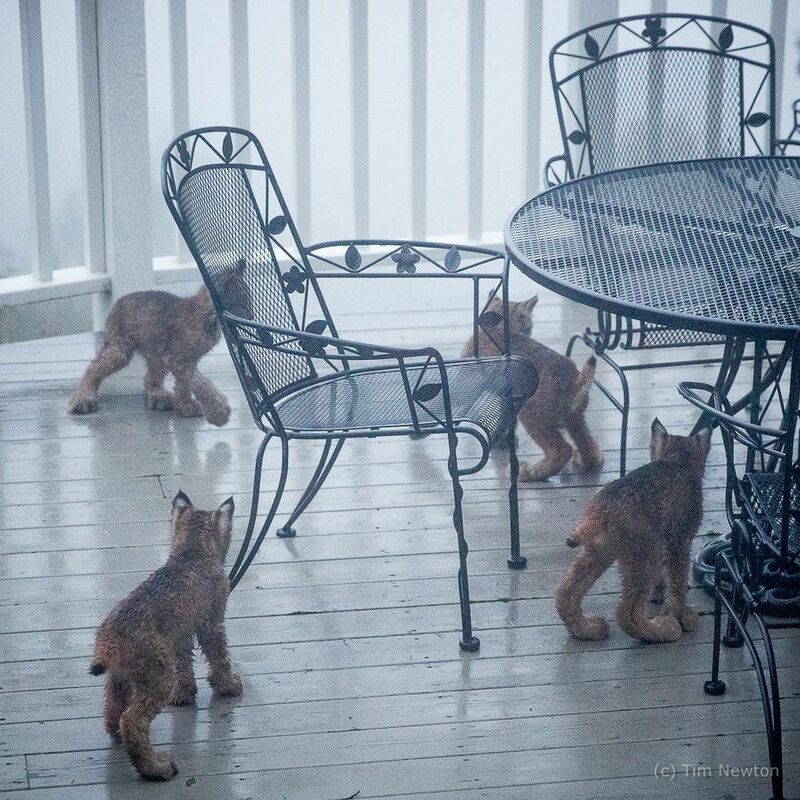 A lynx family – a mother and her kittens – were having playtime in his yard. Newton said that he heard the sound around dawn. He put on his robe, went to the door, and drew back the curtain. 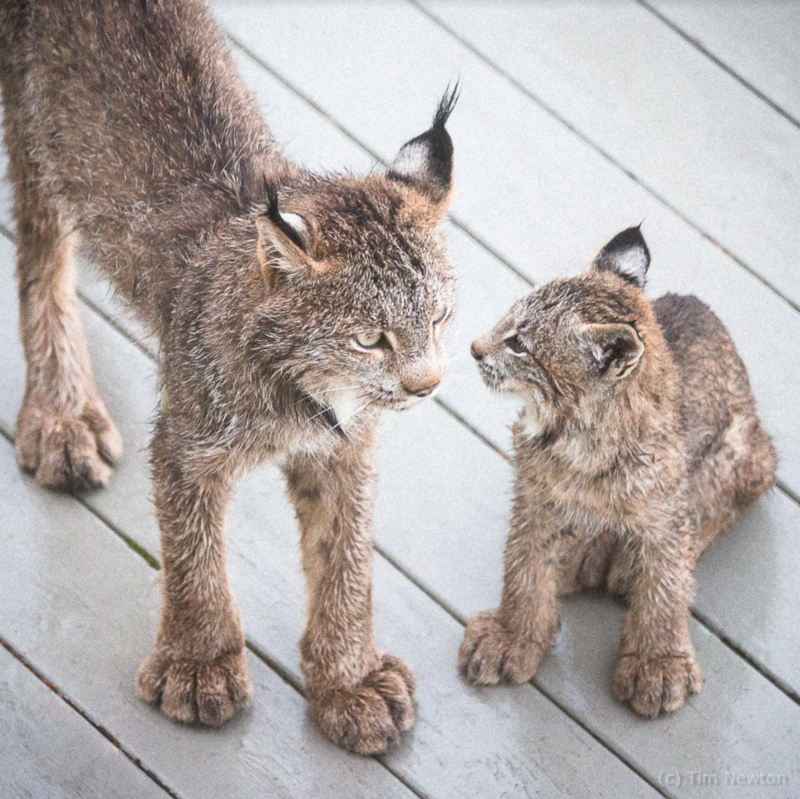 There, almost close enough to touch, was a little lynx kitten and his siblings. As Newton watched, a half dozen more kittens joined their sibling on the deck. Newton, an animal lover and photographer, ran for his camera. He started snapping as many pictures as he could. 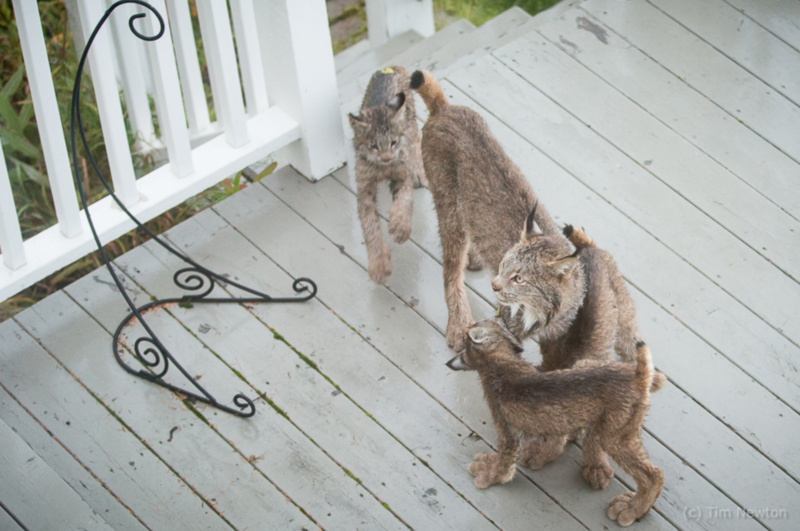 The kittens and their mother stayed for about 40 minutes, romping and wrestling on Newton’s porch. When they’d finished their play, the mama lynx gathered her cubs and herded them back toward the forest. Newton, meanwhile, had ended up with dozens of shots. Unsurprisingly, they’ve gone viral. They were so cute. It was cute-tastic,” Newton said. “It was amazing.” The family stayed long enough for the photographer to take dozens of photos. “They started to play again. For the next 40 minutes, they all played on my deck. They were chasing each other, rolling and wrestling,” said Newton. Newton says that he’s “thankful to have seen these lynx up close.” He gets that this kind of thing doesn’t happen every day. Lynx aren’t exactly spotlight-seekers. They’re relatively common in their Alaskan habitats, as long as there’s plenty of food, but they tend to stay under the radar. 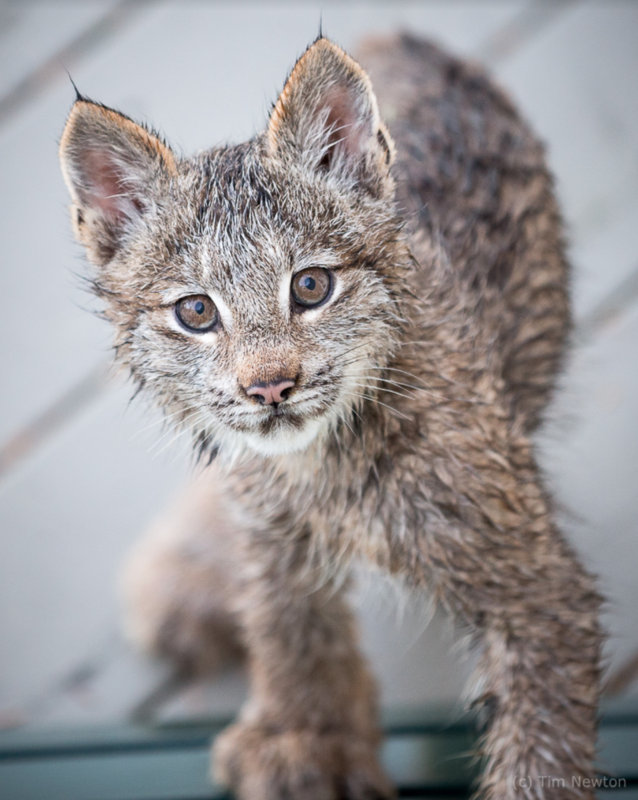 The first documentation of a lynx den didn’t even happen in Alaska until 2015 when US Fish and Wildlife Service began collaring the animals in the Tetlin National Wildlife Refuge. Lynx tend to gather where there’s plenty of their dietary staple, the snowshoe hare. That’s why you see them mostly in Alaska and Canada.